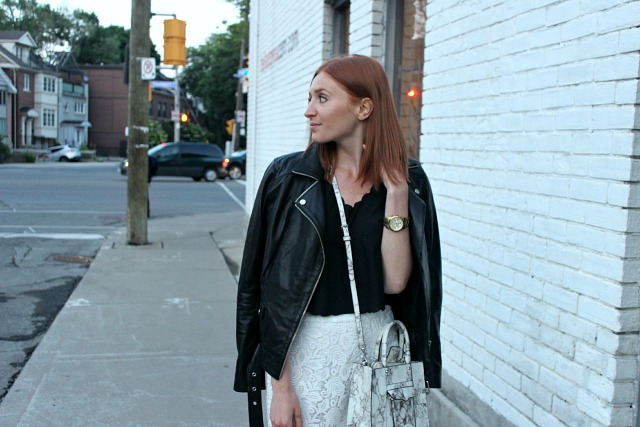 When it comes to outfit planning for a fun night out I love playing with different mediums and textures. This ensemble is made up of quite a few, all while keeping the black and white colour scheme. Leather, lace, marble print and silky scallops are all the elements of this simple yet coordinated outfit. I also love how medium mixing can take me from the office to after work events with the simplest additions. 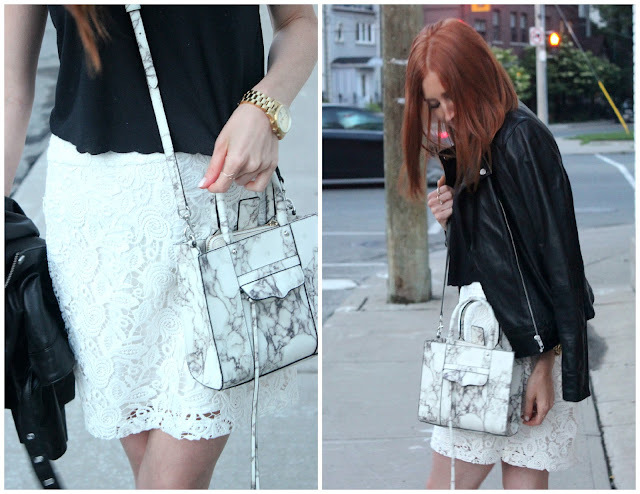 I wear this lace skirt to work all the time, maybe paired with a blouse for the day, but swap out the blouse for a tank, add on a leather jacket, and we're good to go! What do you think? Are you one to mix it up? Cute look! RW & co has wonderful skirts at the moment. I am loving the lace!